Spring Greetings! A quick update on what's going on in Alter Ego world. 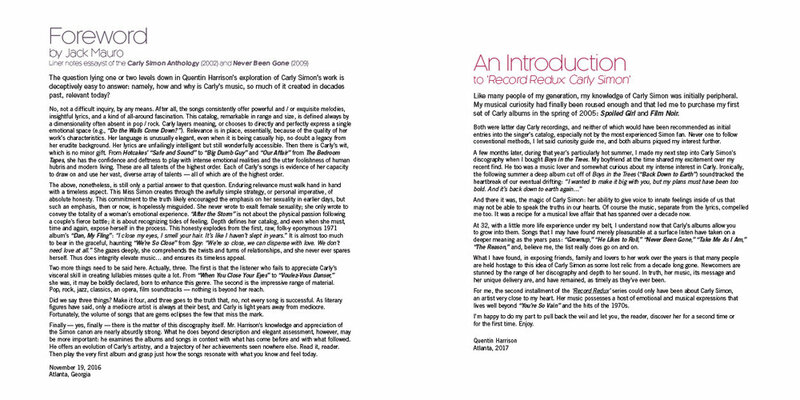 Record Redux: Carly Simon has hit the (virtual) bookshelves this month on Amazon.com. The book is the first of its kind to cover the entire catalog of this music icon, whose career has spanned five decades. My favorite way to enjoy this book (and Record Redux: Spice Girls) is to go page by page and play each single and b-side. I turn to YouTube for the songs I don't have or cannot access otherwise. Quentin's sharp and insightful reviews help me listen to each song with a fresh ear -- and I appreciate the music that much more. The layouts below are some page spreads from the book. Enjoy! Next in the Record Redux queue is the legendary Donna Summer, whose book will publish December 2017. I'll be starting the cover art soon, so I'll share something this summer. I'm excited to share the final cover illustration for the second book in the Record Redux series spotlighting iconic singer/songwriter Carly Simon. Written by music historian Quentin Harrison, this complete discography and critical review spanning five decades will be available from Amazon on April 10, 2017. 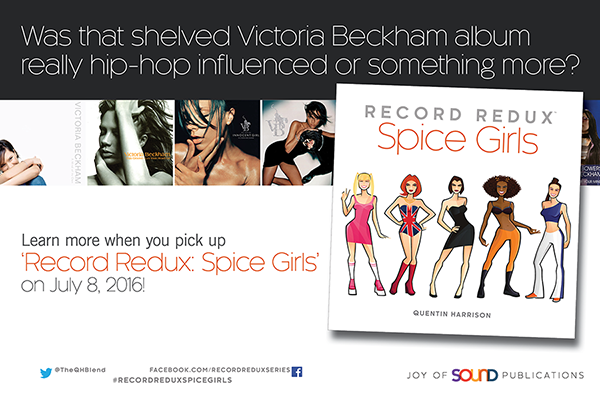 With Quentin's first book, "Record Redux: Spice Girls" (released in July 2016), he succeeded in attracting the interest of renowned British music journalist David Sinclair to write the book's foreword. Quentin has struck gold a second time, with David Mauro providing the Carly foreword. David wrote the liner notes for Simon's 2002 anthology album and also wrote for her last studio release, 2009's Never Been Gone. Details around the launch of the book are in the initial planning stages, so I'll be sure to share those details once Quentin and I can nail down specifics. As for book number three in the series? I'll work on capturing the magnificent likeness of the one and only Donna Summer, which will publish in December 2017. Sample order page from blurb.com . CLICK ON IMAGE TO VISIT PAGE. Back in 2013 I discovered Blurb.com through a coworker. I always wanted to offer a collection of Alter Egos in a coffee table format, and Blurb makes it incredibly easy to do so. I created a 30-page prototype and was impressed by the printing quality, vibrant color and paper stock. Now a couple of years later, I have expanded the book to 54 pages, featuring 50+ of my favorite characters. I've also added a little back story on the inspiration behind the pieces. So go online, sample some pages and indulge your Alter Ego!